Luck + Charisma + Economic Surge = Trudeau Electoral Success in 2019? A year out, it appears the 2019 federal campaign will be a competitive race, and one regionally-based, not necessarily one fought at a national level. Canada’s electoral super-cycle continues to churn today, with the official one-year countdown to the 2019 federal election. Recent change in government in Ontario, New Brunswick and Quebec (with Alberta potentially on the horizon) illustrates how dynamic and unpredictable the next 12 months may be politically at the federal level. An economy (and a private sector) frustrated and worried by aspects of the new USMCA trade deal, all while Canada-US tariffs and related counter-measures remain unresolved. The PM now has to run on his own record, not on a “sunny ways” narrative. The opposition parties and influential outside critics alike are pointing to a long list of broken or undelivered 2015 campaign commitments including electoral reform, Indigenous reconciliation, climate change and the apparent inability to get major infrastructure projects built. And poorly communicated files and policy commitments focused on families, small business and gender equality and the lightening rod C-69. These key planks have either gotten lost or have worn thin with the electoral base. 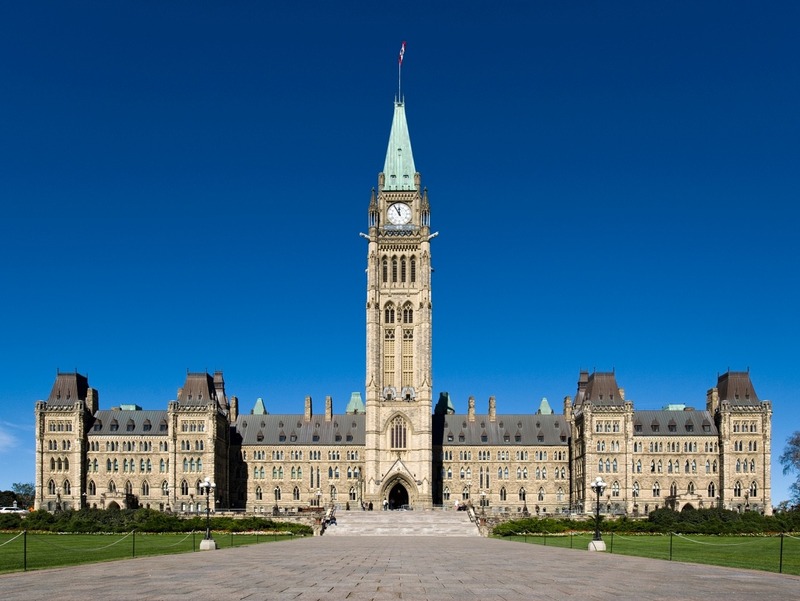 The very extensive process of re-engineering significant parts of the federal machinery of government has led to few tangible results for Canadians. Critics argue this overhaul has contributed to an ineffective and overwhelmed public service and significant dissatisfaction at the lower levels of the public service, Phoenix pay system debacle aside. Two opposition party leaders similar in age and demographic to Trudeau – a fundamental difference from last time – who combined have the potential to disrupt a Trudeau majority win in 2019. Anti-establishment sentiment continues to evolve across the country, as it has in many countries around the world. Fringe parties on the left and right of the spectrum, those with little if any history or experience governing (see the People’s Alliance in New Brunswick), are now becoming important electoral competitors. The Green Party and Maxime Bernier’s People’s Party of Canada have the potential to split some key ridings even finer given current polling. A year out, it appears the 2019 federal campaign will be a competitive race, and one regionally-based, not necessarily one fought at a national level. We should expect micro-electoral battles in all regions of the country where few historical voting patterns appear to remain as evidenced in the voting trends of the Ontario 905 ridings. By the numbers alone, it seems hard to imagine that the PM and his Liberals have any room to grow and seat reductions are the likely outcome for the party in BC, Alberta, Ontario and Atlantic Canada. It will be his second election as a national leader. Andrew Scheer and Jagmeet Singh will make the inevitable mistakes that rookie leaders are prone to make. His personal stamina on the hustings and charisma as leader is unrivaled, as is his performance as a superb retail politician. He still appeals to the critical demographic of young voters that brought him into government the first time, and will likely also appeal more than other leaders to first-time voters in 2019. Trump and growing anti-USA sentiment in Canada can only benefit the PM and his team. Taking all this into consideration, what do we think a successful Liberal election campaign will look like? A more centrist campaign, focused on select tax cuts and a more business-friendly economic narrative picking up on Canadian’s growing concern around the deficit. Thinking needs to shift towards the right and fully recognize that the battle is no longer on the left. The traditional Liberal strategy of “out-lefting the left” will simply not work, even while the party does not want to lose focus on picking off traditional NDP voters who are not coalescing around Jagmeet Singh’s leadership. A region-by-region focus where Liberals have historically been very successful in the past, aggressively ensuring a “get out the vote” strategy for disinterested Liberals and first-time voters. See the Liberal Party of Canada’s 1993 Red Book for British Columbia. But the big question is does this strategy hold true given a different wedge issue mix? In Ontario, this will largely be about positioning Ford Nation as opponent which could ensure that Sheer never takes on his own persona has leader. Clear positions on gun and gang violence and urban renewal. With expectations relatively low for Andrew Scheer (according to a recent Abacus Data poll, Andrew Scheer has 25% positive and 26% negative opinion, with both gaining equal amounts over the last year, remaining weakest in BC and in Ontario), he simply needs to run a flawless campaign and have a bit of luck. Build a coherent economic narrative as the party of small business, the entrepreneurial spirit and the resurgent voice of lower taxes and less government regulation/intervention (which is all fundamentally counter to current federal Liberal strategy). The Conservatives have the chance to pick up seats in Ontario and build on their existing base of strength in Western Canada. Locking down what support he has, shifting the far left of Liberal voters back to the NDP. Files like electoral reform and climate change, among others, should be central to this approach. Attempt to build off of the CAQ’s negative immigrant sentiment in Quebec and rebuild the incredible base of support which propelled the NDP to Official Opposition Status in 2011. Further complications for the Liberals may present themselves with next weeks’ municipal elections in British Columbia (October 20) and in Ontario (October 22). The Liberals will be watching the results closely to determine how they will/will not play out in the context of the 2019 federal vote. Clearly, there is much happening politically right across the country, and the situation that the Liberals are contending with is much, much different than it was in 2015 when they were first brought into government. Things will only continue to shift and churn as we move into 2019 – don’t miss our analysis as we move forward together.